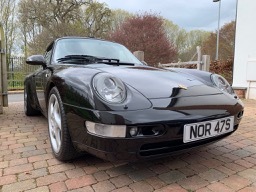 Not sure I’ll mount this to the 993 as a permanent feature, but had some [stressfully patient!] fun with an exact Arctic Silver colour match wrap on the Rear Centre Section..! awaiting delivery of front bump stops and dust covers from the “Homeland”. Replaced old knackered front bump stops and dust covers, not quite as easy as described in previous posts, assistance needed to guide the top of the shock absorber strut back through the upper bearing whilst positioning the hub and brake assembly. I did use spring compressors incidentally. Attached picture of one of the destroyed front bump stops...58k miles. Just had a front end respray. Also decided to freshen up the front with some RS ducts. Collected yesterday. 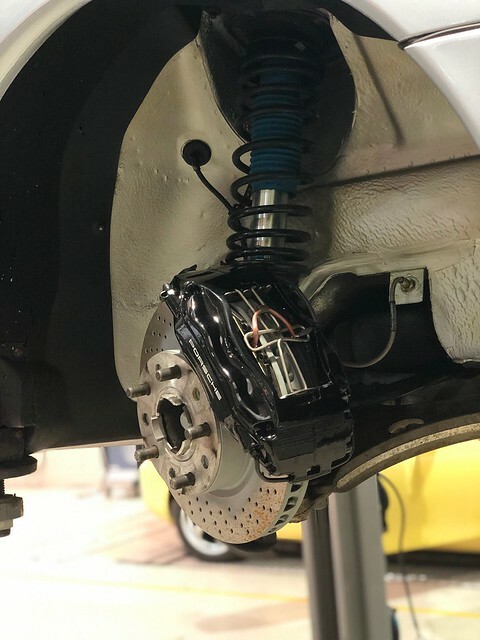 Posted: Tue Apr 16, 2019 9:27 pm Post subject: Brake refresh. A good clean up, my second full set. Trying Pagid pads this time. What was wrong with the previous set, or did they just wear out? 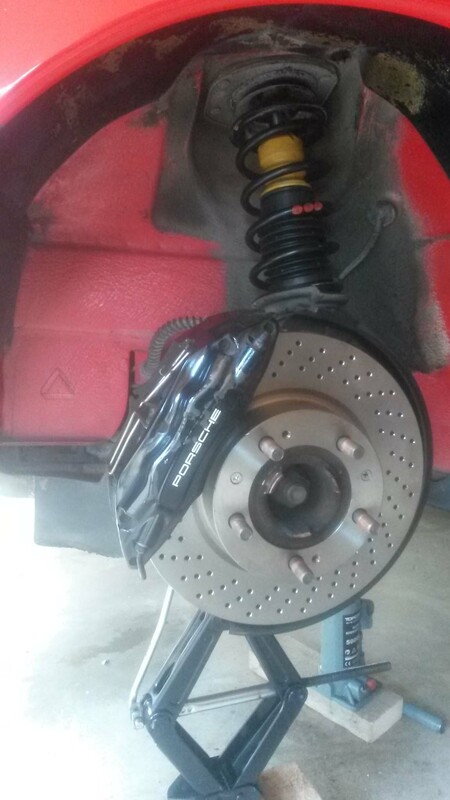 Posted: Wed Apr 17, 2019 7:02 am Post subject: Re: Brake refresh. I wouldn't go Pagid personally, I tried them years ago on the fronts and they squealed like a pig. Made the same mistake when I changed my 4 discs a couple of years back for Brembo. Discs were fine but the Brembo pads on the front also squealed like a pig. I thought Brembo pads were the same as Textar but not the case. After 3 months I swapped them for Textar and all was fine. I will never fit anything but Textar now. 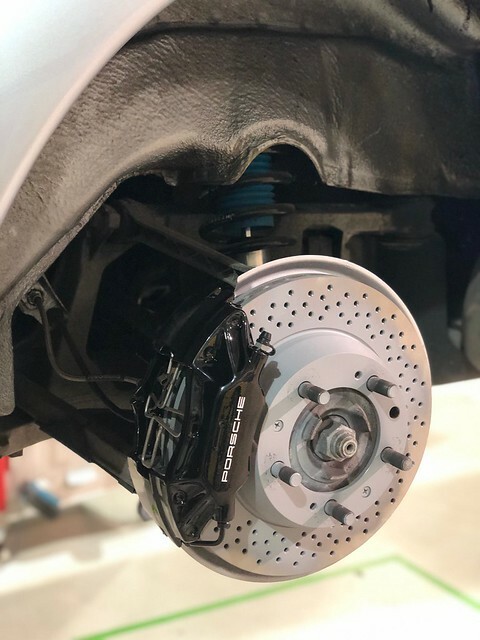 Posted: Wed Apr 17, 2019 7:40 am Post subject: Re: Brake refresh. ..the Brembo pads on the front also squealed like a pig.. Same here, never heard such bad Brake Squeal.. Then I changed mine to Pagid and all was good..! But, that doesn't seem to make sense given your experience..
Perhaps it's a Pad / Disk combo issue..? 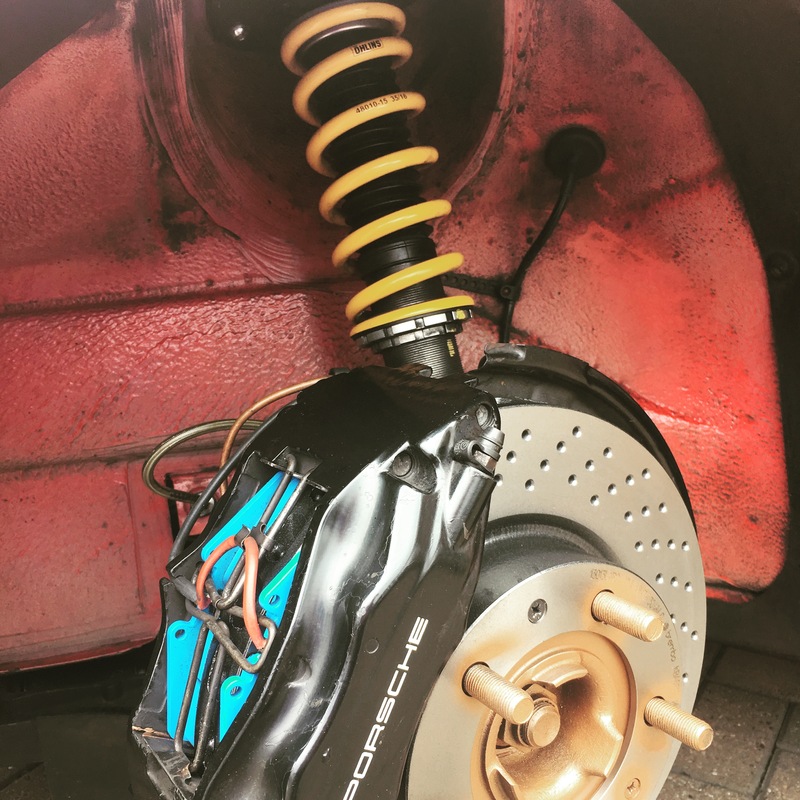 Posted: Wed Apr 17, 2019 8:45 am Post subject: Re: Brake refresh. Could be, my Indy in Q8 told me to always go with Textar on the front and I did that. It was only when I changed the discs that I thought I was doing the right thing to buy matching discs and pads. Over time I've thrown away 3 sets of perfectly good front pads, que sera sera. Dec as a quick question, do you know what the imprinted triangle is on the N/S inner wing, I have the same and apparently all Porsches have the same, either a square or triangle. Sorry Trev not a clue, didn't even know that there were two types, triangle and square until you brought it up. Nothing wrong, just worn down. Nice even wear front and rear. Brembo competition pads up front and Textar at the rear. 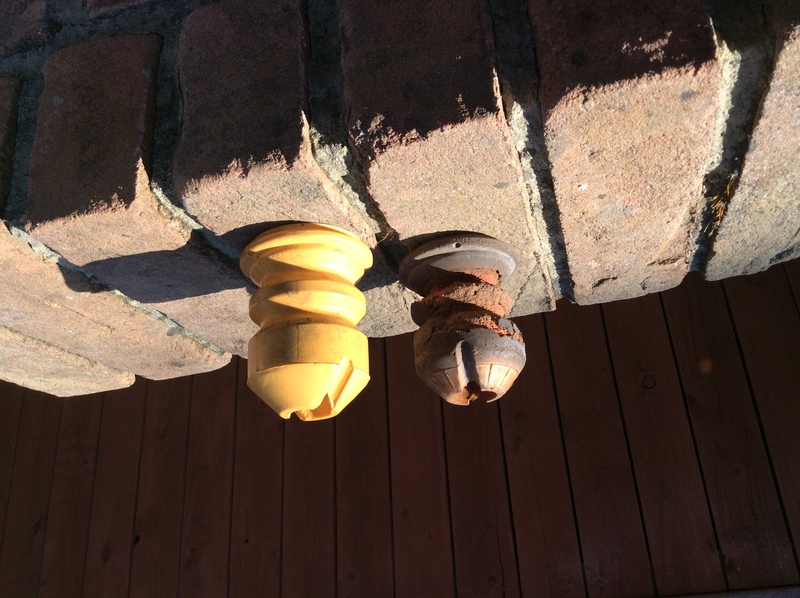 Posted: Wed Apr 17, 2019 11:59 am Post subject: Re: Brake refresh. Textar do have a good reputation and normally I would go that route, going on track this year so testing the Pagid RS42 competition pads. 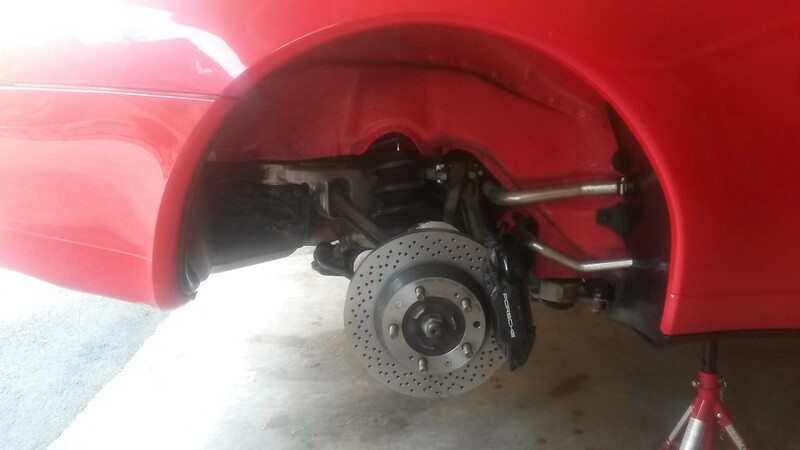 Posted: Wed Apr 17, 2019 12:31 pm Post subject: Re: Brake refresh.